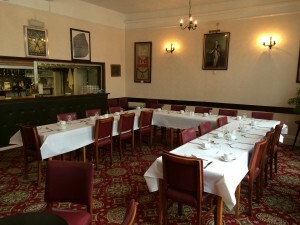 The Pallant Suite comprises the Main Hall on the ground floor with its stage and own bar for larger gatherings, the first floor bar which is ideal for smaller events and the Masters Room on the top floor which can be used for any meeting not requiring a bar or as an adjunct to the other rooms. On the ground floor is the main hall which is the largest area in the building and can accommodate up to 150 people theatre style or 130 for a dinner. The extensive kitchen facilities are adjacent to the hall so that service can be prompt and efficient. 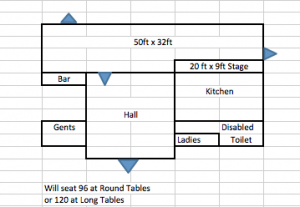 Naturally there are plenty of toilets on the ground floor including disabled facilities. 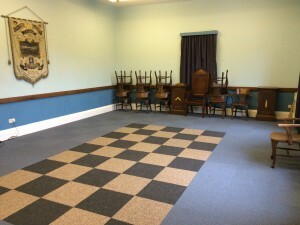 This area can be used for smaller events on its own or as a second bar separate from the main hall. It is ideal for pre-dinner drinks or for a smaller, more intimate dinner. This is the main bar which is fully stocked and sufficiently extensive to accommodate limited amounts of catering. 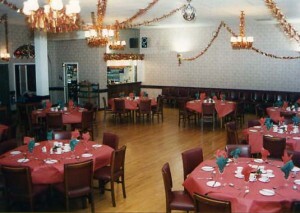 The tables can be arranged cabaret style, as dining tables (as shown) or to one side to make the most of the space available. Above the bar on the second floor is this substantial room which is ideal for smaller meetings and can work very well in conjunction with the bar for refreshments. Chairs and tables are usually laid out in boardroom style but this can be changed to accommodate individual needs. It makes the ideal venue for business meetings with the ability to use the bar for breaks.